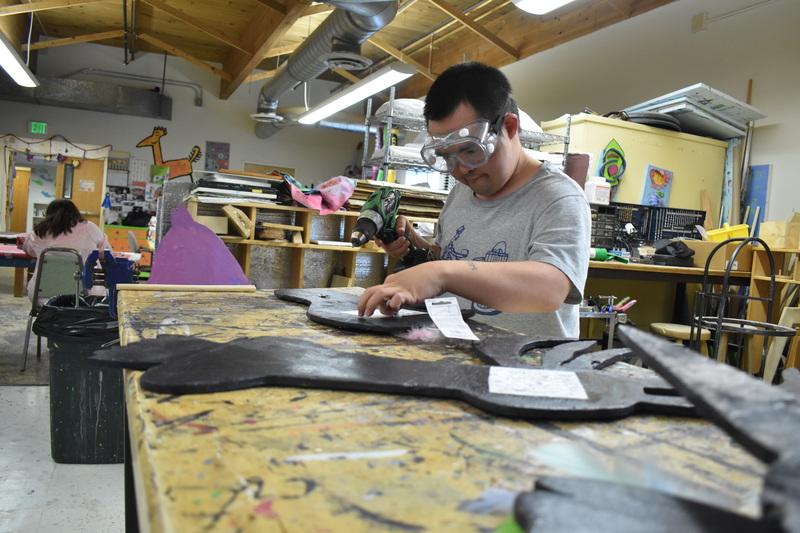 Hope Studio & Gallery - Hope Community Resources, Inc.
Artists within the community who experience a developmental disability often do not have an avenue or opportunity to express themselves artistically. Hope Studios mission is to provide artists the space and opportunity to create, while allowing them to explore their form of self-expression through different mediums. The collaborative process allows people to be creative in a free and flexible way, working together as a team to create finished pieces. The group setting allows a space for artistic ideas to be shared and friendships to naturally blossom. Hope Studios is fully accessible to all ages and abilities. The studio team utilizes technology and creativity to foster the opportunity for any artist to create. 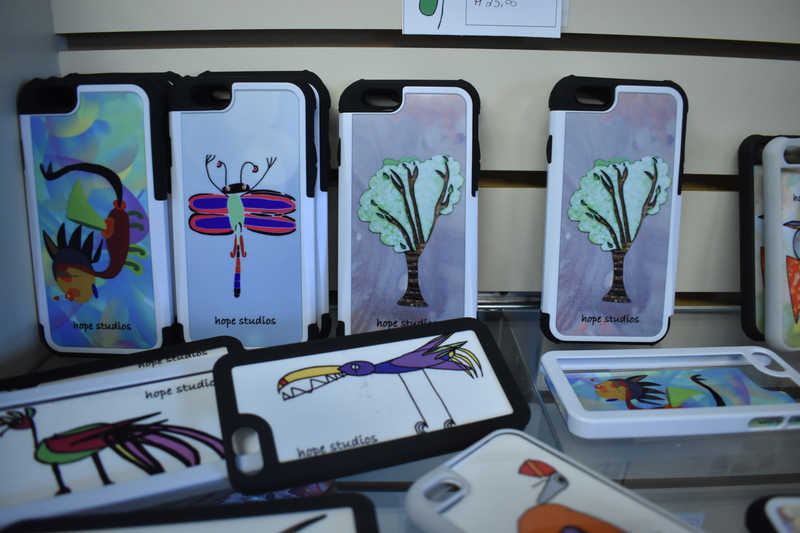 The art produced by the Hope Studios artists is shared, shown and sold in many different venues, including our Gallery, local craft fairs, art shows, conferences, and art events. The Hope Studios Gallery is open daily to the public, and is a great place to look for unique gifts and fine art. We feature upcycled furniture, one of a kind wall art, jewelry, greeting cards, clothing and other creative things. Hope Studios—Monday–Friday, 9 a.m. to 5 p.m.
Hope Studios Gallery—Monday–Friday, 9 a.m. to 4 p.m.